This school year the Knightsen School District had the good fortune to open a brand new school, Old River Elementary. It has been an exciting year of learning for our students. They have worked very hard to their best and have grown tremendously. Unfortunately, due to state budget cuts and the depressed economy, our new school may be forced to close for the coming school year. 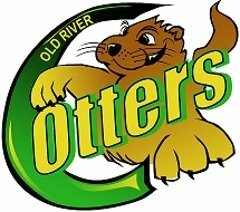 We are asking you to help the Old River Parent Teacher Club raise the $75,000 which is needed to keep our school open. Your donation would be tax deductible and all money raised would directly to keeping the school open. In the event that the school did close, your donation would be returned to you. Please make checks payable to Old River Parent Teacher Club (ORPTC) and note to whom and where you would like your donation receipt sent. Thank you for your generosity! I am proud of the work that we all have done to build our school, both physically and philosophically. A recent visitor told me that she saw the school as unique and wonderful. "It would be such a shame to see Old River close." Our goal seems huge and we have a short amount of time to raise what we need to stay open. But we CAN do this. Working together, thinking creatively, and focusing on our goal- the children at ORE, we can do this. Please give generously!